I love it when flowers aren’t always planted in the usual containers. I think it makes them a little bit prettier. 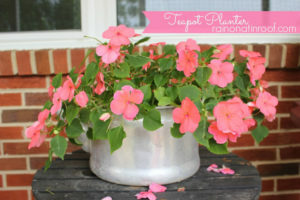 Here are some of my favorite flower pot ideas that are creative and pretty easy to make. Just snap together this frame (I’m serious! ), then clad it with cedar planks! Keep your planters gorgeous from beginning to end with these tips! 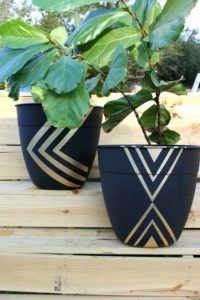 Grab a can of spray paint and some painter’s tape to give boring planters a modern twist! 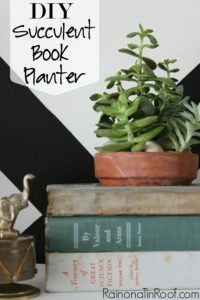 Give your indoor planters a fun twist by making them out of books! Simple, but so pretty! This teapot is very special to me. No matter what I put in it, the flowers always do great. 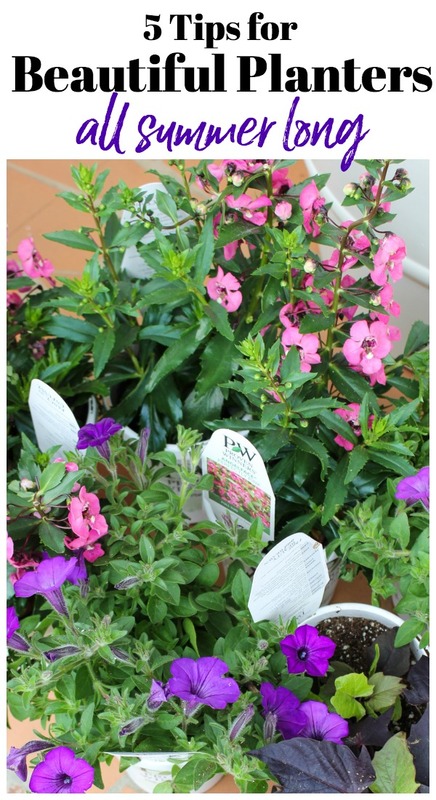 How we create gorgeous container gardens – I’ve got a few little tricks! How cool of a re-purpose is that?? 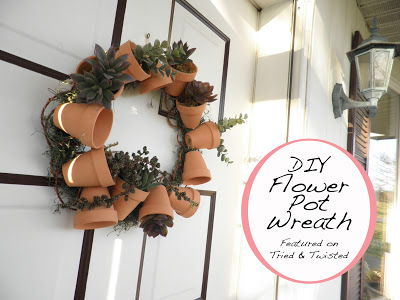 This is such a simple upgrade to basic and cheap terra cotta planters. 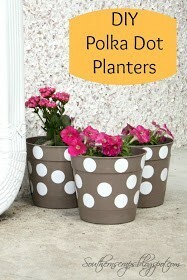 Your drainage holes are already built in with this flower pot! How genius! Polka dots are one of the easiest patterns to paint and make everything fun! I love them on this planter! Old crates make my heart flutter. Add a plant to it and I might faint. This is a genius upcycling project! 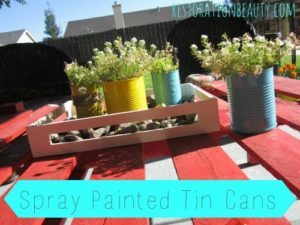 Turn tin cans into a flower pot! 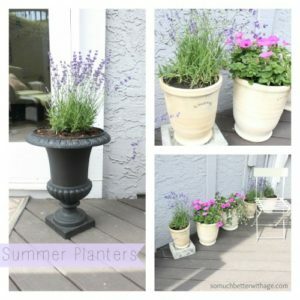 These summer planters are classic and beautiful. I am a sucker for anything galvanized. I love its look. This is a fun way to greet guests. These planters are rustic and beautiful, aren’t they? 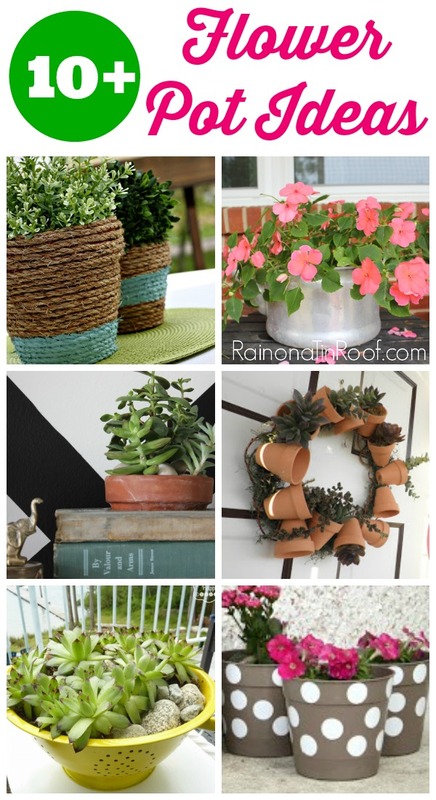 What are your creative flower pot ideas and planter ideas? Looking for more great outdoor inspiration? 13 Ideas for Sprucing Up Your Front Door and Entry – get ready to boost that curb appeal! 10+ Fantastic Outdoor Projects – from easy furniture makeovers to swings made from pallets, it’s all here! 9 Outdoor Living Spaces You’ll Never Want to Leave – get ready to be inspired! 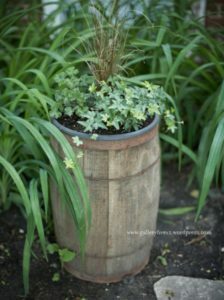 I love the urban barrel planter and all of the metal tub planters! Such a great look. Thank you so much for featuring me, Jenna! 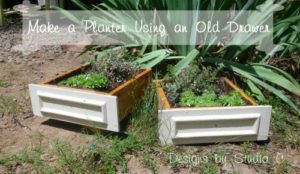 So many awesome planters, loved them all but think favorite was the geraniums in the crate. Happy 4th. 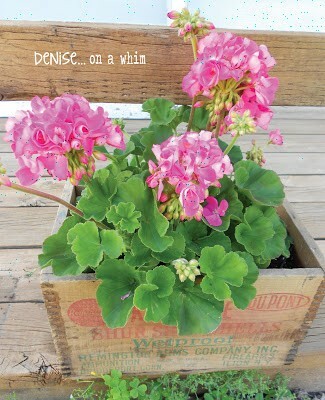 Those geraniums in the crate are beautiful! Love this roundup – I’m especially fond of that galvanized bucket. I love that galvanized bucket too, Rebekah! 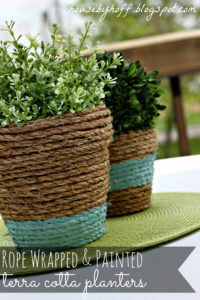 I really like those twine wrapped planters, cute and easy! 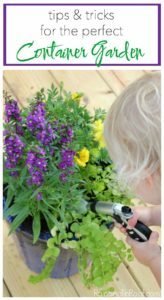 Great ideas for planting flowers! Yes – great ideas!! Thanks for stopping by! thanks so much for the feature…and for the round-up….lots of great ideas here! You are so welcome, Gretchen! Loved yours! 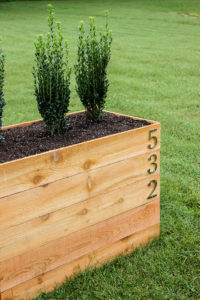 Great list, I love the urban garden planter! I love that urban garden planter too! So cool! What great ideas! I love the colander as a planter. Perfect! I love that colander one too! It is so cool! Thanks so much! There is some great inspiration! Great minds think alike! So glad you stopped by! 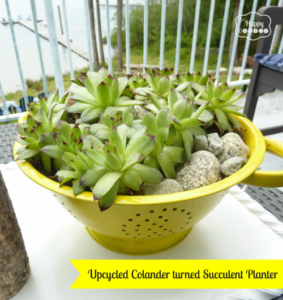 Thanks so much for featuring my upcycled colander succulent planter, Jenna!! Yay!! You are welcome, Krista! Loved it! So clever! I absolutely love this round up! I pinned it and shared it on G+! Thanks so much for coming back and sharing at All Things Pretty! Thank you for hosting, Kathy! Love your party! Oh Nancy, what a find! Love it! 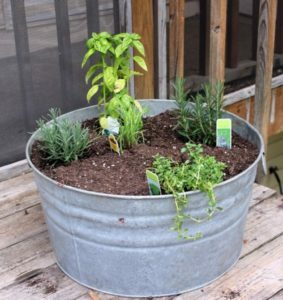 You could always turn it into a planter, use it for books, maybe spray paint and old cooler and put it in there and have a cool outdoor cooler? Perfect for spring! Thanks so much for sharing at Thursday Favorite Things! Lots of great ideas Jenna! Thanks for sharing at TFT. I am happy to feature you at this week’s party. Happy spring!